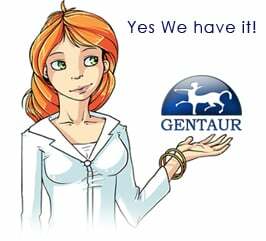 Gentaur antibody-antibodies.com The Marketplace for Antibodies : Detection of blood chimerism after lung and heart-lung transplantation. The superiority of nested as compared with standard polymerase chain reaction amplification. Detection of blood chimerism after lung and heart-lung transplantation. The superiority of nested as compared with standard polymerase chain reaction amplification. Migration of donor cells from the graft to various tissues of the recipient has been demonstrated after different types of solid organ transplants. Currently, the detection of donor cells in the recipient's tissues is most simply performed by polymerase chain reaction (PCR) amplification of a donor-specific gene. In the present study, we first determined in vitro the sensitivity of standard and nested PCR amplification with sequence-specific primers (PCR-SSP) of a donor-specific allele of the HLA-DRB1 gene and then used this technique to assess prospectively blood chimerism in two single-lung (SLT) and one heart-lung (HLT) transplant recipients. Standard PCR-SSP consisted in a single amplification round with sequence-specific primers for the donor-specific DRB1 allele. Nested PCR-SSP consisted in a first round of generic amplification of exon 2 of the DRB1 gene, followed by a second amplification round with primers specific for the donor allele. In vitro, nested PCR-SSP of the donor-specific allele was 1000-fold more sensitive than standard PCR-SSP and allowed the detection of 1 donor cell in 10(5) recipient cells. In vivo, standard PCR-SSP detected donor cells among the recipients' peripheral blood mononuclear cells (PBMCs) only during the first postoperative days, whereas nested PCR-SSP demonstrated their presence until the end of the first postoperative month in patients 1 and 2 and until 3 months after transplantation in patient 3. We conclude that donor cells can be detected in the peripheral blood of SLT and HLT recipients during the first postoperative months and that nested PCR-SSP amplification of a donor-specific HLA-DRB1 allele is much more sensitive than standard PCR-SSP to demonstrate such chimerism.